People smoke for lots of different reasons. They might try a cigarette for the first time because they think it’s cool, or for social reasons because their friends smoke. You might feel pressured into trying it, or just be curious! Some people smoke to relieve stress or anxiety, even though research suggests doing this can have the opposite effect. Smoking is straight up horrible for your body: every year around 78,000 people in the UK die from smoking, and the younger you start, the more damage it does. Smoking is responsible for around 7 in every 10 cases of lung cancer, and if you start smoking at the age of 15, you are 3 times more likely to die from cancer than people who start smoking in their mid-20s. We’re not loving those odds.  It may seem that everyone is smoking, but it’s on the decline. The great news is that younger people are a lot smarter with smoking habits than older generations. Only 7% of 15 year-olds smoke, according to the latest figures from the NHS. That’s tiny. Plus, the number of young smokers has been in constant decline since 1996.  You’ll be healthier and find it easier to breathe. Smoking limits your lung capacity, making it harder to breathe. We’re in favour of easy breathing!  You’ll save a bunch of money. Smoking is expensive. The average person saves £250 a month when they quit – that’s nearly £3,000 a year! Check out this website to see how much you could save.  It’s good for the planet. Did that Greenpeace ad with the baby orang-utan make you feel terrible? Palm oil isn’t the only villain. Tobacco production accounts for almost 5% of deforestation in the developing world, and is horrible for environmental sustainability. Ok, you’ve convinced me. But how do I quit? So maybe you were convinced by the cancer, or the orang-utan? Lots of people are – but that doesn’t make it easy to quit smoking. That’s because smoking is extremely addictive. Don’t worry, we have a few handy tips to get you started – and you can find plenty more on the NHS website.  Find a friend. It’s so much easier to quit with others. You can support each other when the cigs seem irresistible.  Make excuses. Other smokers may try and persuade you to smoke again. So be prepared with excuses about your health, cost, your boyfriend or girlfriend wanting you to quit, or anything else that works for you!  Write a diary. Whenever you get a craving for a cigarette, write in your phone how you feel, why you want one, and a distraction to stop you from smoking.  Talk to your GP. Quitting on willpower alone can be really hard. 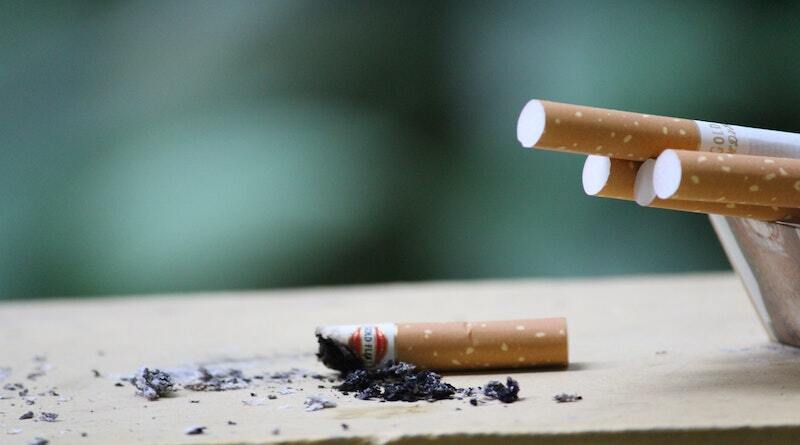 So speak to your GP about stop smoking treatments, such as Nicotine Replacement Therapy. They can double your chances of quitting successfully. And if you’re aged 12-18, they’re free on the NHS.  Exercise. Studies show that exercise can reduce your cravings and relieve withdrawal symptoms. Even a stretch or a short walk can help. Remember, you are not alone. Lots of people want to stop smoking, but it can be really hard. The trick is to take lots of small steps to try and quit. Surround yourself with friends and family who support you stopping and don’t be too hard on yourself — you’re taking the first steps and that’s great!